The North Tonawanda restaurant and brewery is hiring 60 workers. 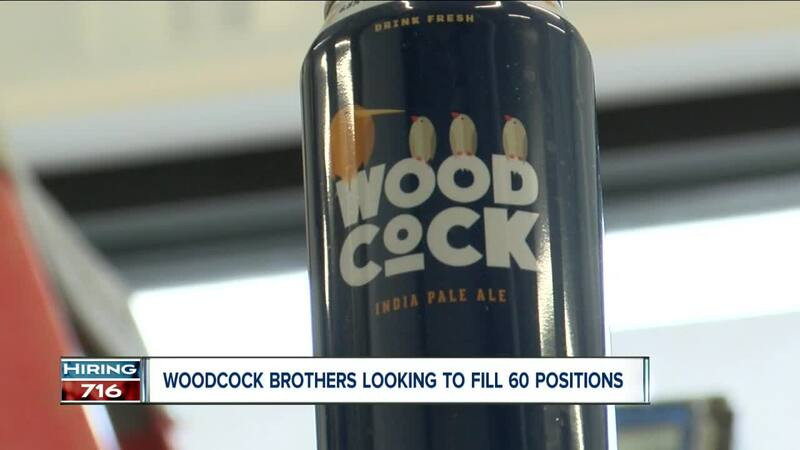 Woodcock Brothers Brewing Co. is hiring for its new location. They're getting a $500,000 state grant to create 60 jobs. Interest for the jobs is high. Tim Woodcock co-owns the restaurant. He said they received 200 applications when he held a job fair in November. “It's kind of a neat, new thing for this area. So, I think there's a lot of excitement about it,” he said. He said that shouldn’t discourage others from applying. They’re still trying to fill 10 to 15 kitchen positions. Salaries there range from minimum wage for bussers and dish washers to $40,000 for some of the cooks. They're also still in need of some servers and perhaps a few management positions. “Some of the higher management jobs, if we choose to go that route, could be looking at $50k pay scales,” Woodcock said.